Delbecq will be presenting new work at her exhibit, Breaking Dormancy. An Indiana-based artist, Delbecq lives on a scenic working farm in a beautiful old red brick farmhouse. She paints what she sees out of her second floor studio window – the rural Indiana landscape. Vivid Art Gallery is excited to announce its newest Featured Artist for the month of April, painter Debra Delbecq. The gallery will host a First Friday Art Opening to present her work on April 6th from 5-8 PM. The event is open to all and is free of charge. In addition to great art, there will also be refreshments and live jazz. 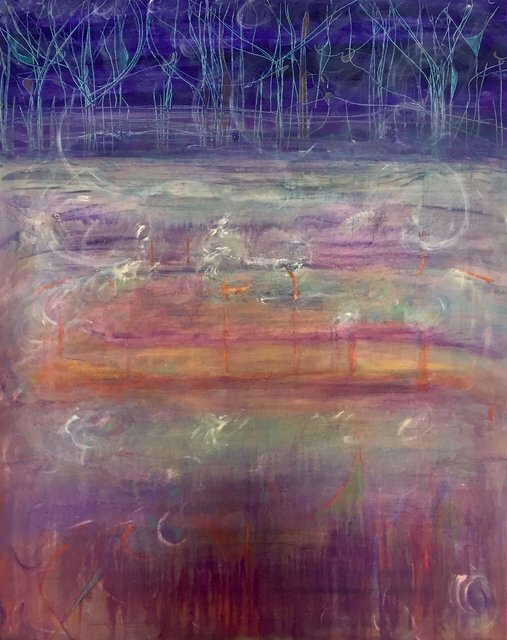 Delbecq creates both abstract landscape and non-objective paintings of her surroundings, capturing the feeling of the wind, weather, and fields as they interact. She fills large canvases with broad strokes of vibrant color, using an etching tool to carve the patterns of wind and soil into the paint. Says Delbecq, "I really aspire to be an agrarian painter, passionate about the collision of colors from the land interacting on my canvas in front of me." Her creative process is intertwined with her own sustainability - "while gathering my food I'm storing information for the content of my work. I hope to preserve in paint much for all to imagine themselves." Given Delbecq's paintings reflect what she sees, it is not surprising that her works are full of movement. The movement in her paintings create the sense that her works dance on the canvas, a style that is one of Delbecq’s trademarks. Artists who have influenced her include Modernist and Post-Impressionist painter Henri Matisse and abstract painter Joseph Albers, as well as the Bauhaus movement. 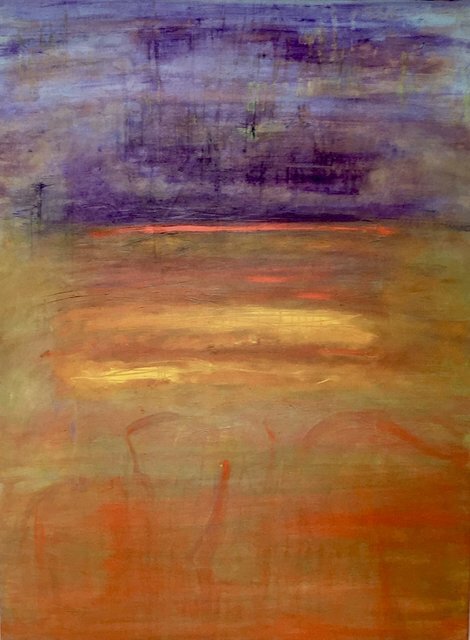 Also showing work during the month of April will be Local Artist Linda Ann Weber with her exhibit Beneath the Surface. Weber, who lives in Winnetka, is currently exploring the process of abstract intuitive painting. 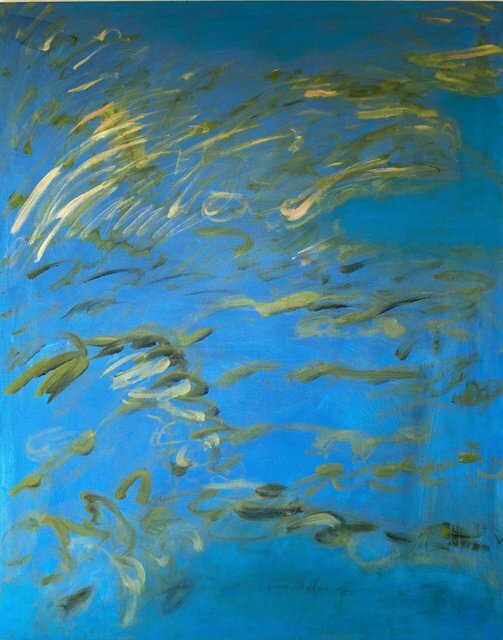 Her work is characterized by beautiful shades of blue, fluid brushstrokes, and positive energy. Please join us as we celebrate the work of these two artists.